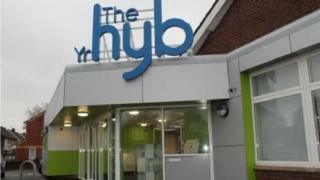 A new community hub for two Cardiff suburbs will be officially opened next week. The £1.2m facility serving Llandaff North and Gabalfa has been created on the site of the area's old library and day centre. It houses a library, advice services, children's area, IT suite and a community cafe as well as meeting rooms and a community hall for local groups. The facility will be opened on Tuesday.